The Delaware Contemporary is committed to high quality educational outreach in support of 21st Century learning skills through the arts. We have proudly partnered with more than 60 community groups and schools and have served over 1000 people in the past year alone through various community programs. Contact our Education Team to learn how you can help support our community through these programs and how The Delaware Contemporary can serve your community, organization, or school. 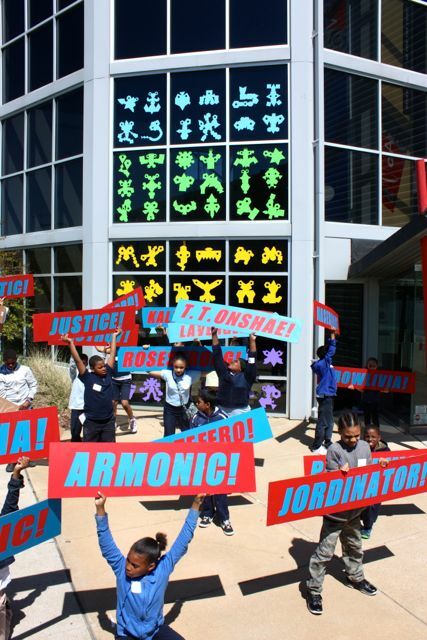 Since 1992, The Delaware Contemporary has been inspiring youth of all ages to achieve academic success through the arts with the Contemporary Connections program. Through arts-based, integrated curriculum projects, Contemporary Connections motivates students by creating dynamic, core-connected art projects that are relevant and engaging to both students and teachers. Professional teaching artists individually work with classroom teachers for each half-year long program, including a field trip and tour of The Delaware Contemporary's galleries and artist studios, and a final exhibition and reception celebration. The goal of the program is to introduce students and teachers to contemporary art that is connected to core-curriculum educational standards and reflects ideas, attitudes and issues in culture, society, community, and daily life. The Freire Art Club is an after-school program currently funded by the 21st Century Learning Grant that brings professional artists together with high school students and teachers from Freire Charter school. This team designs a year long curriculum that engages teens with the arts, while developing life skills in a creative peer environment. The Art Club exposes teens to contemporary art and ideas through tours and hands-on projects, and offers a creative outlet for personal expression. The final artworks are presented in an exhibition and reception during the highly attended, city-wide First Friday Art Loop. The New Castle County Vo Tech (NCCVT) Creative Arts Club (CAC) is an indispensable partnership that joins Howard High School of Technology and Delcastle Technical High School with The Delaware Contemporary. 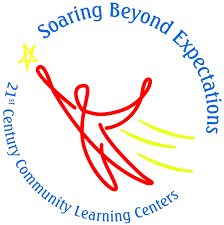 This ongoing collaboration capitalizes on the knowledge that students who are involved in after school activities centered on positive social and creative interplay, specifically in the arts, demonstrate improvement in all other factors that measure a student’s success at school including grades, attendance, discipline, and vocational employability skills. But maybe most importantly, CAC focuses on the four most critical 21st century skills that include collaboration, creativity, critical thinking, and communication to cultivate critical thinkers who are able to consider “outside of the box” solutions through the development of problem solving skills that are necessary for success in any career. PNC’s “Grow up Great” funding sponsors our “Art Adventures” program at the Latin American Community Center. An artist works with the teachers in the Pre-k 4 year old room to introduce art making processes to enhance their Expeditionary Learning model. Our last program yielded a bi-lingual traffic safety video performance complete with a set, props, and wearables all made by the students. This video was created as part of The Delaware Contemporary's "Art Adventures" kids' program at Wilmington's Latin American Community Center - is the most fun you'll ever have learning about transportation safety! Big thanks to the PNC Foundation for their support, to Teaching Artist Tatiana Muska Michels, and to Scott Michels of The CAUSE for the videography! Since 1985, The Delaware Contemporary Art & Community Visual Arts Residency Program has forged relationships between nationally recognized artists and the Wilmington community. Through this program, innovative artists have the opportunity to develop professionally and collaborate with under-served community groups to create unique works of art. Artists in Residence are selected through a competitive, juried review process.